"To bead or not to bead" was never a question for us! 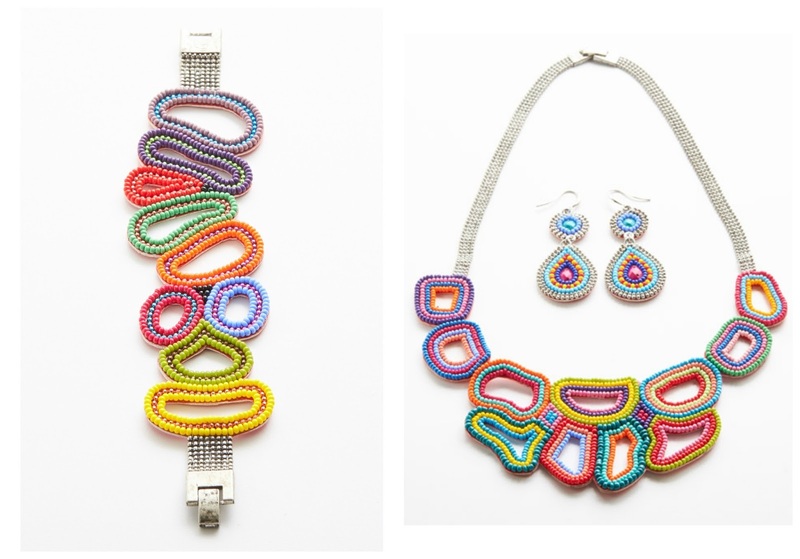 This spring we're all about intricately beaded bijoux that occupy the intersection of art and craft. 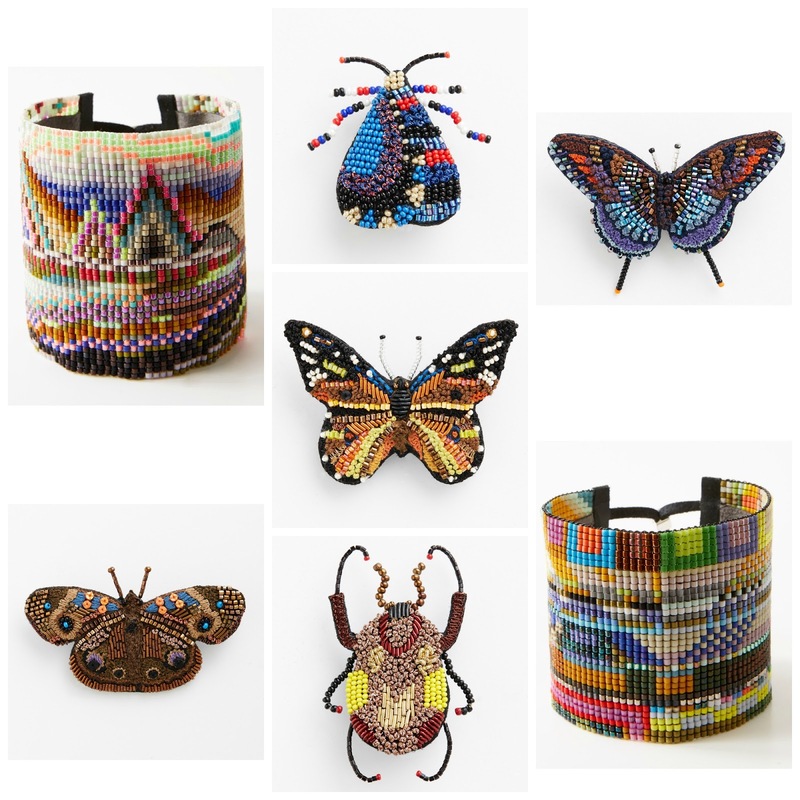 Beadwork is a medium through which many parts are assembled into a significant whole, both aesthetically and symbolically. Many cultures have rich beadwork traditions through which skilled artisans tell stories utilizing motifs and distinctive visual language. We've assembled a stunning selection from our spring assortment to help you refresh your look. Brightly colored Czech glass and resin beads are layered and hand-sewn into biomorphic shapes to create our Amoeba Jewelry collection. Handcrafted in India, these pieces have all the vitality of a tropical breeze. Buzz, buzz! We're buggin' for these beaded beauties. 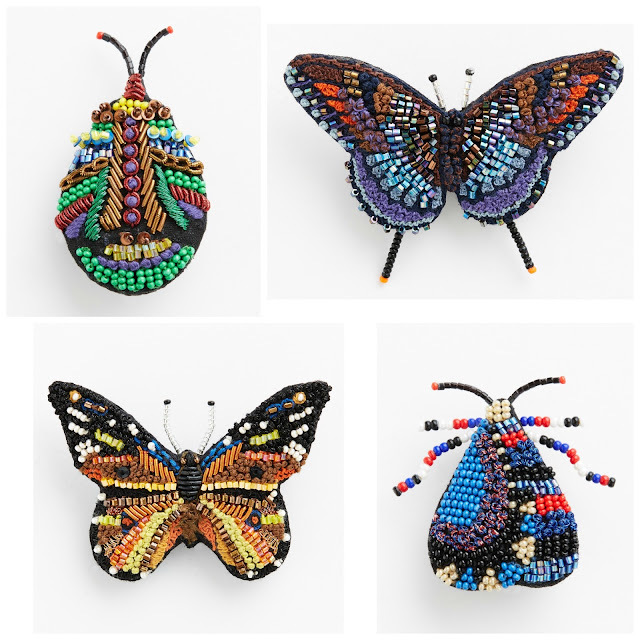 Whimsical interpretations of garden dwellers are hand-embroidered and embellished with metal and glass beads on our insect pins. Lightweight and exquisitely detailed, these are the ultimate in creature comfort. 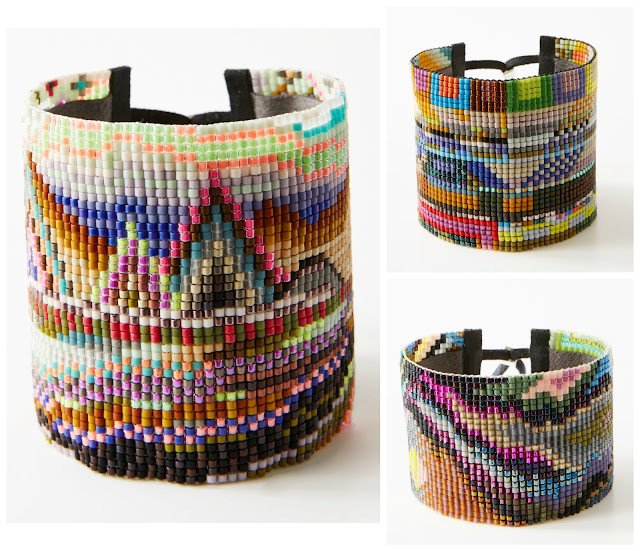 Finally, our beaded cuffs are fun finishing touches for any outfit. Handmade in the USA, these bracelets are beautiful beading with a bohemian flair. Stunning showstoppers, they are sure to spark many a sartorial conversation. These styles are giving us life, so we hope we've inspired your reason for beading!